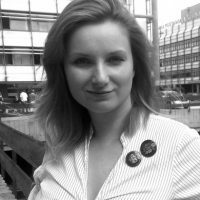 Iva Marković is a Secretary of Serbian Green Youth with long experience in civil society activism. Her current focus is on interconnecting different social movements and developing coherent Green political idea within the regional and local context. The severe flooding which hit large areas of the Balkan region in spring 2014 highlighted serious flaws in the state response to such emergencies, as well as failures of environmental policy and planning. Fellow citizens and volunteers became a lifeline for those in need, as a result.